Bloggers are traveling to Morocco in droves this year. And who could blame them? From posing in archways in Marrakech to glamping in the Atlas Mountains to riding camels in the Sahara, there is no shortage of inspiration or Instagrammable opportunity. Truth be told, I’ve been convinced, and I’m getting ready to travel to Marrakech next month myself. But the past few months of trip inspiration and preparation have got me thinking: Rather than let FOMO get the best of you, why not bring the Moroccan style home to create your own gram-worthy interior? 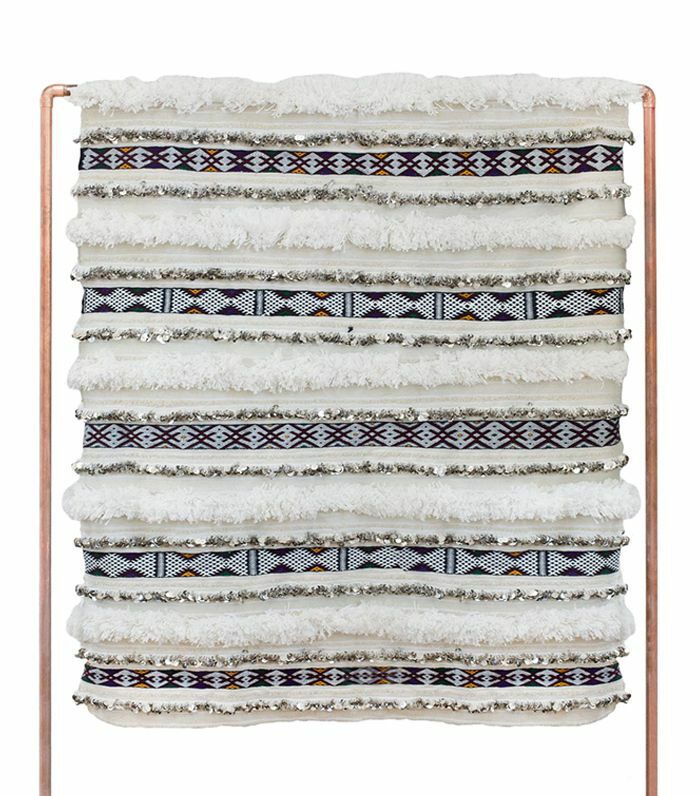 Moroccan influences on interior design are now trending in new, modern ways that extend far beyond the pouf. The point is, you don’t have to wait to travel to the desert to get the desert-chic look at home (that doesn’t mean I’m canceling my trip, though!). The newest wave in Moroccan-inspired interiors takes a more modern approach to embracing the exotic. Treat each space the way a minimalist would—with restraint. So rather than bringing in all the colors from the bazaar, keep a focused color palette. Instead of creating a Moroccan theme in a room, incorporate one or two iconic Moroccan pieces that help to create a layered, worldly look without going overboard. In the end, bringing travels and eclectic inspiration into the home space is a great way to showcase your personal design style and unique inspiration, so it’s all about curating the well-traveled tale that you want to tell at home. Ready to take a world traveler’s approach to your home turf? Scroll for 11 inspiring interiors that give Moroccan style a modern twist. 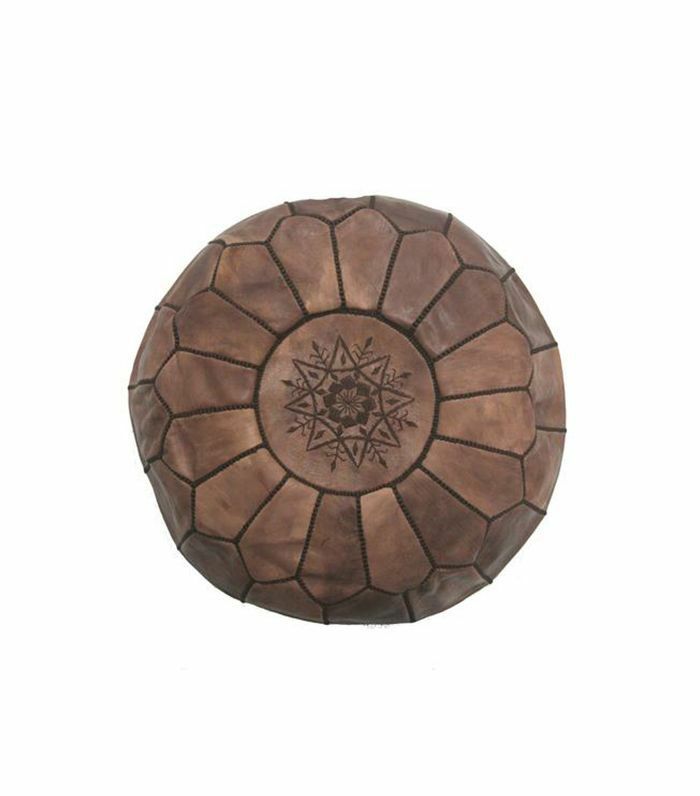 A leather pouf is a well-recognized staple of Moroccan-inspired interiors. But that doesn’t mean the room has to feel at all traditional. On the contrary, a pouf can be a key piece to give a room a fresh take on the eclectic, layered look. In this masculine, high-contrast bedroom design, the space is expertly balanced between modern, clean lines in furniture and lighting and Moroccan-inspired accents that dress down the space with soft, inviting textures and ethnic patterns that lend an earthy appeal. 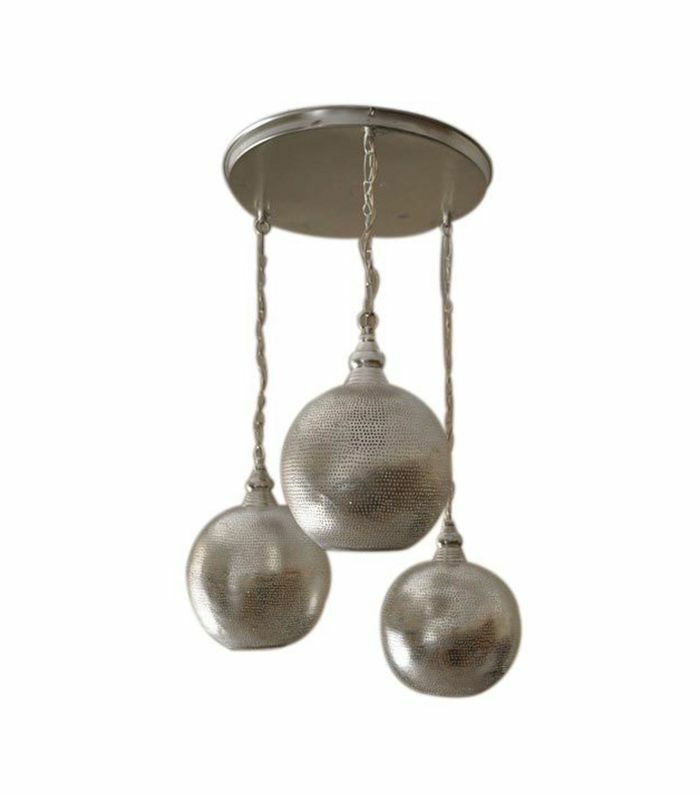 Hanging lanterns give a space a signature nod to Marrakech’s markets. 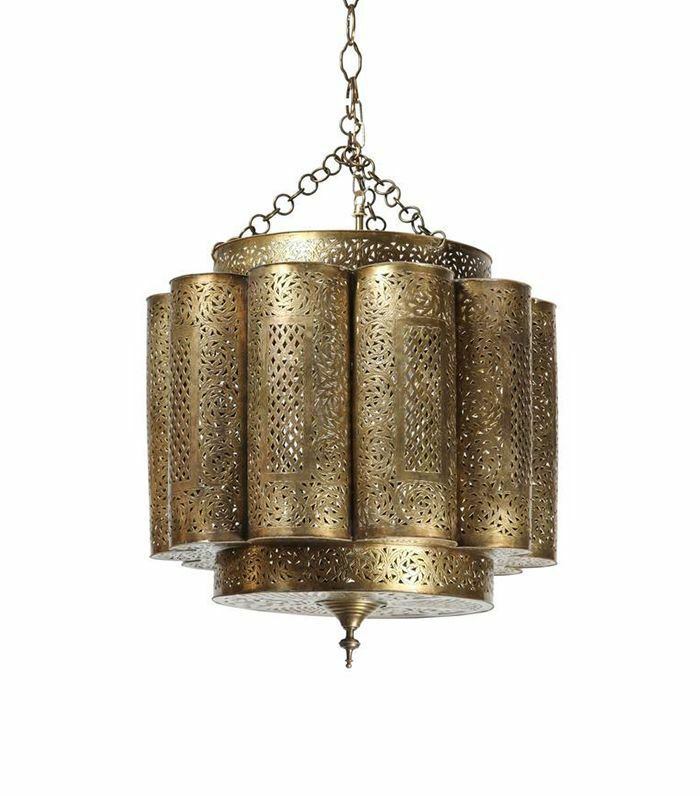 It’s not like brass lighting is unique to Moroccan style, but the perforated and hammered textures give the metallic finish a more worldly story with a handcrafted appeal. This chandelier certainly makes an exotic statement in this entryway. It’s no secret that an antique rug is a great way to weave pattern, texture, and a lived-in appeal in any space. When mixing Moroccan style into the modern home, don’t be afraid of a little color. This bedroom showcases how to incorporate color with focus so that the space feels warm, bright, and energetic without getting too busy or loud. The secret? Connecting the color pops between rugs, furniture, décor, and even plant life. In a sleek, sophisticated dining room, Moroccan pendant lights give coastal style a unique twist. A little bit of boho influence and some asymmetry let these lights shine as the focal point of the space. Sure, guests will love the well-appointed table space that’s perfect for entertaining. But they won’t be able to stop talking about how things really got lit up, thanks to the stellar chandeliers that set a more worldly tone. 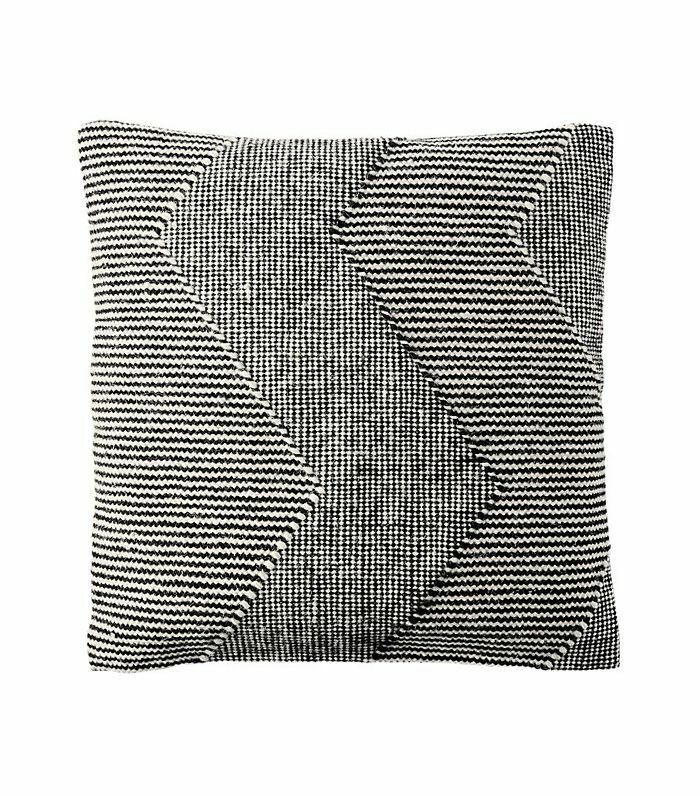 The floor pillow is a hallmark of Moroccan interiors, and we’ll happily borrow the idea of low-slung, easily rearranged seating for any living room. Oversize pillows help fill floor space with stylish and functional appeal, providing ample comfortable seating while keeping an open, fluid feeling in a room where chairs might otherwise break up the space. Mix and match patterns and colors to give the room a more eclectic, collected vibe, or keep the designs simple for a cleaner look. To fuse together modern designs with a Moroccan-inspired Moorish style, take inspiration from guarded, walled cities. 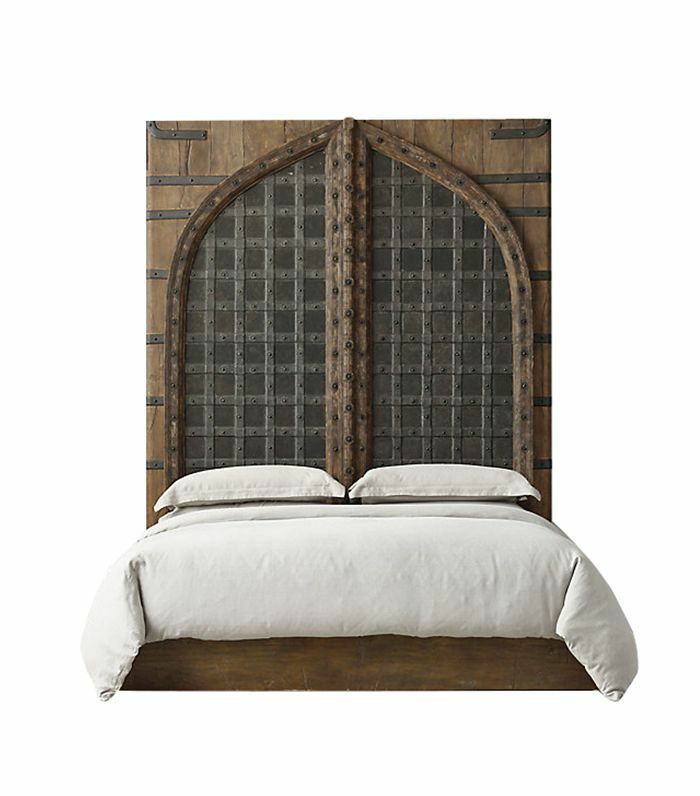 A hand-carved headboard that harkens back to fortified doors? If that doesn’t make you feel safe and protected for a good night’s sleep, I don't know what would. Mosaic tile moments are some of the most frequently captured inspirational snaps from those exploring riads and restaurants from Fez to Marrakech. And there’s no reason why your home can’t have the same style of hand-cut tiles for your very own personal palace. 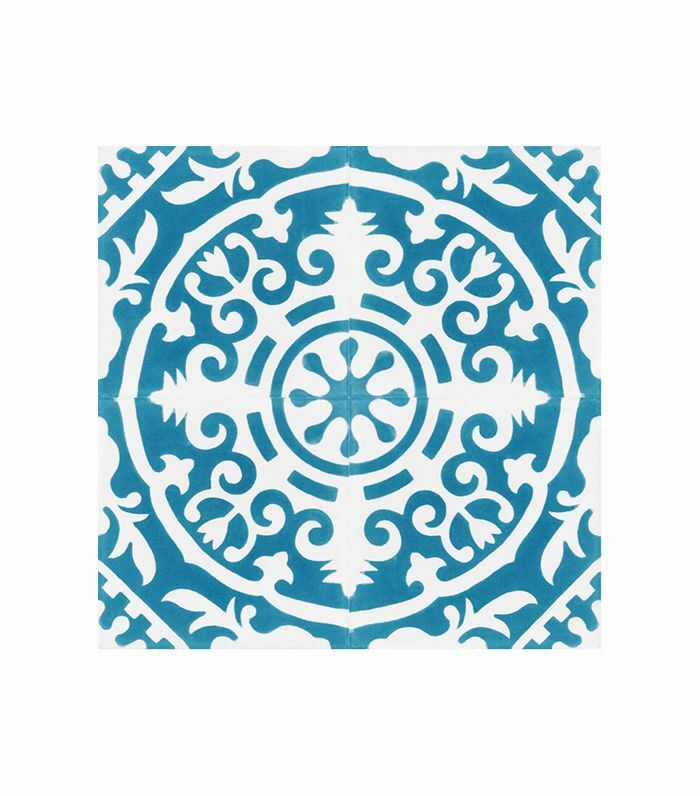 In this striking bathroom, Moroccan tiles in a bright turquoise pattern take the classic blue-and-white bathroom combination to a whole new level. I’m always inspired by the simplicity of Scandinavian minimalism and drawn to the way that, when it comes to the few pieces of furniture and décor chosen for the room, these interiors let the details speak for themselves. Moroccan accents tend to be rich with texture, or pattern, or both, making them ideal for minimal spaces. 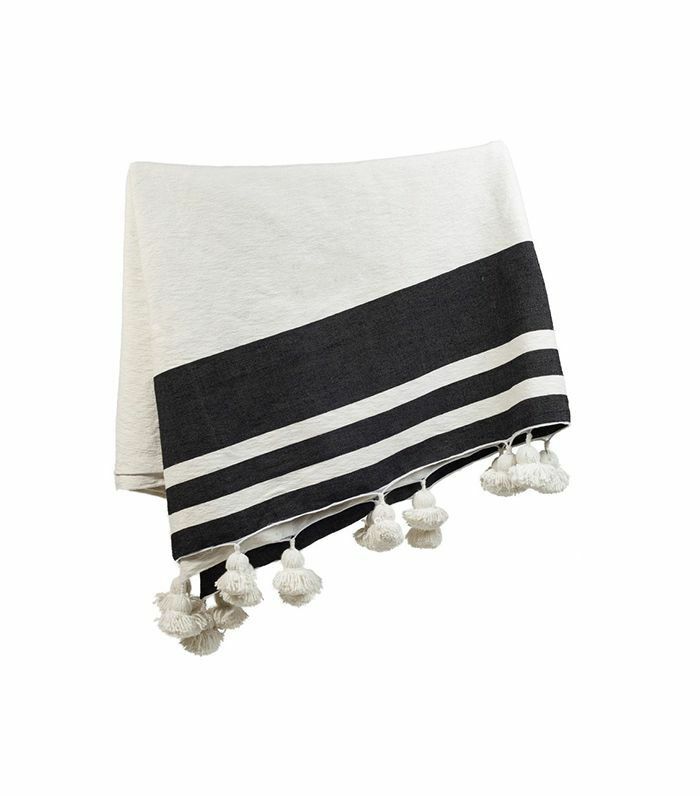 Case in point: This blanket stands out against a stark, clean backdrop, its black-and-cream color combination adding depth and the pom-pom detail layering on texture and style in spades. For those who appreciate a whitewashed interior and a healthy dose of warm minimalism, mixing Moroccan inspiration into a room using white and cream shades is a great way to add richness without saturation. 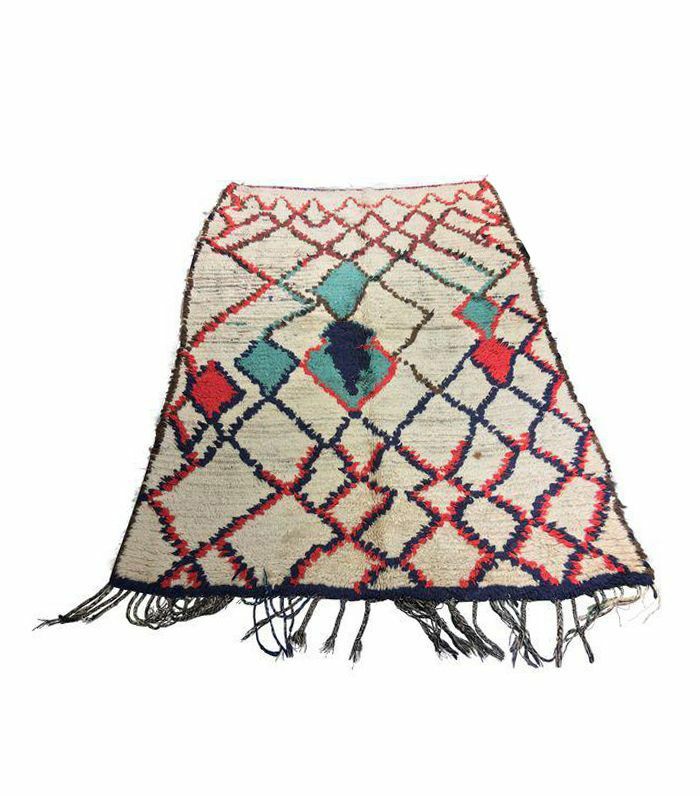 A Moroccan wedding blanket is about as textural as throws come, and it works well tossed over your favorite chair or at the foot of the bed. Moroccan-inspired furniture always adds well-traveled flair to any space. A wood chest or console is a great way to incorporate hand-carved designs that tell a story with pattern and texture. 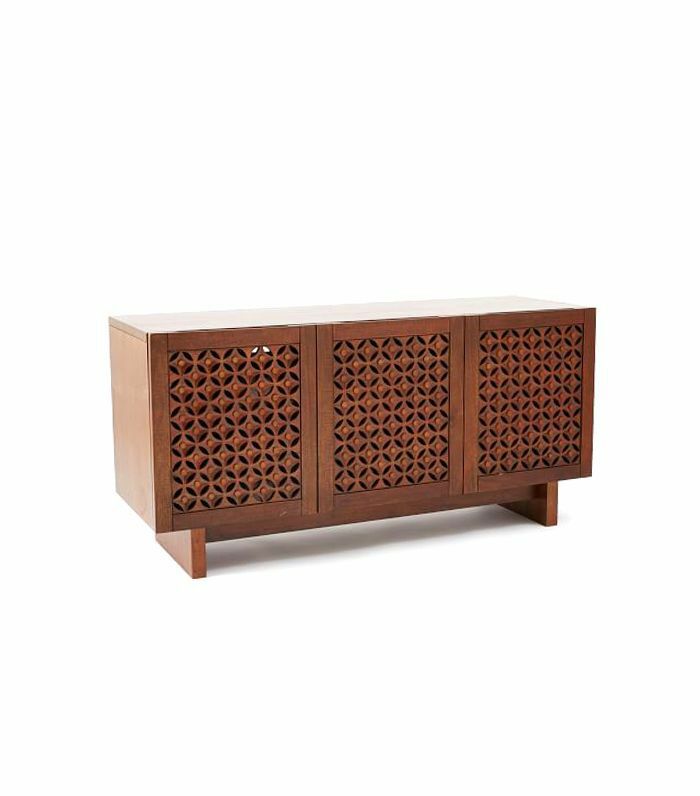 As a TV stand in this living room, a Moroccan-inspired sideboard adds a little something from the old world for a friendly contrast with modern technology. 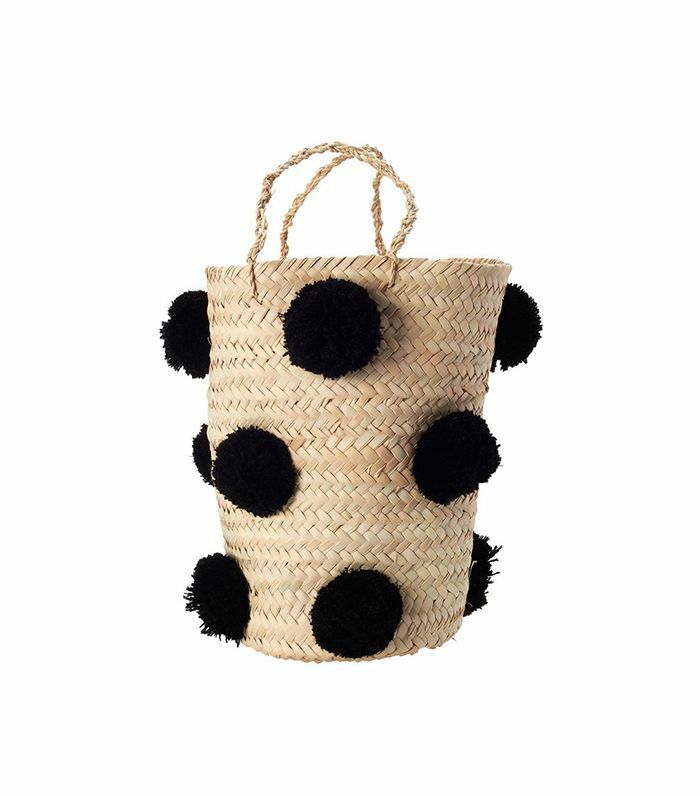 In the spirit of bringing exotic travels home, layering basket weaves, macramé, and mud cloth creates a beachy, bohemian Moroccan-inspired style. The summery vibes in this bedroom space are the perfect blend of inspiration that spans from Southern Europe to Northern Africa, with a warm neutral palette of earth tones and layered woven textiles infused with Moroccan spice (complete with pom-poms for a little bit of exotic flair).